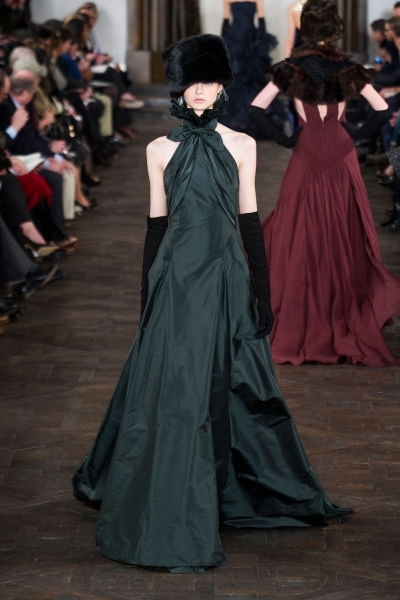 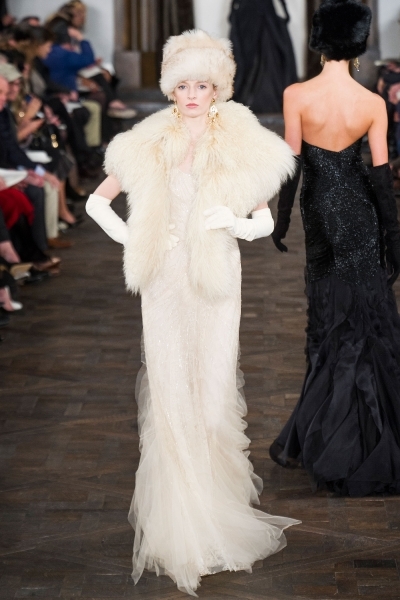 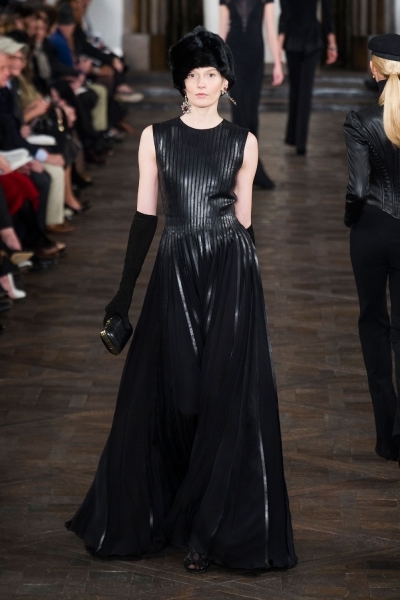 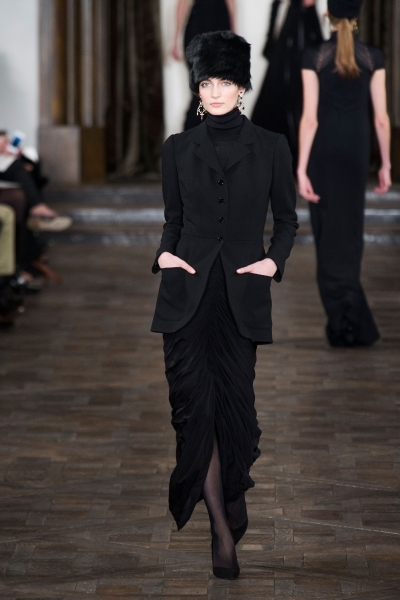 Like others before him, Ralph Lauren was inspired by the Russia of Anna Karenina for his Fall 2013 collection. 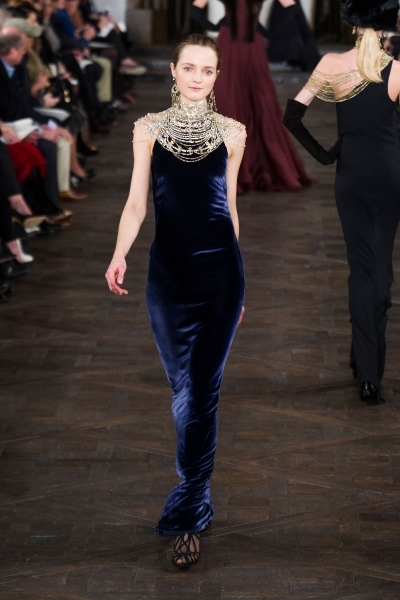 This tied directly into another trend we’ve been seeing this season, velvet. 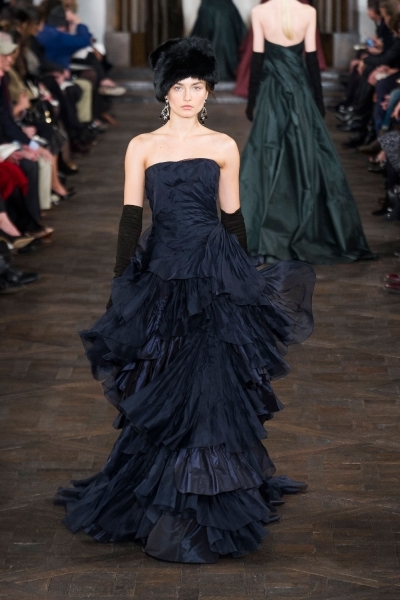 Alongside ruched velvet cocktail dress, gowns and maxi skirts, the designer showed military-inspired outerwear (think rows of buttons and fitted bodices), fur hats, patchworked tapestry-like bags, floral velvet embroidery and ruffle details for an opulently romantic collection.